Why does MODX win out over other CMS’s? It’s exciting that MODX3 will finally arrive in June. A dedicated team is currently working on making MODX3 a reality. It will be an awesome release that makes working on MODX sites better and more fun than ever. 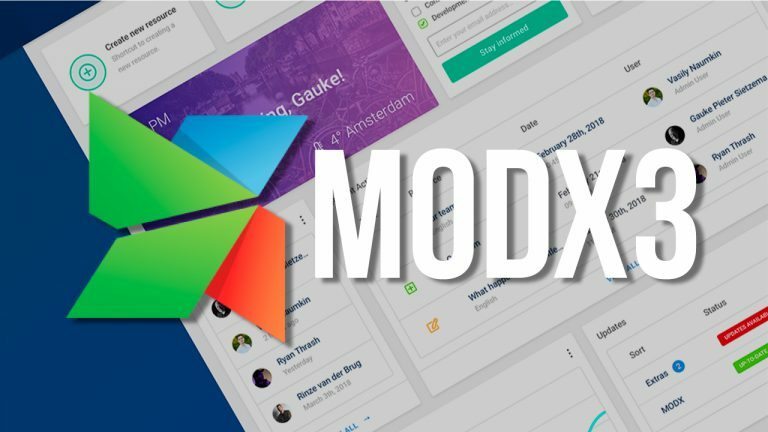 MODX has solid backing and support from MODX, LLC; which gives a lot more confidence that if you choose MODX for your projects, it’s not going to disappear any time soon, and good support is available. At MODX, their philosophy is to embrace simplicity wrapped with flexibility and not develop a system that offers you restriction in any way. MODX CMS is globally known among developers for catering creative freedom and developing smart bets for the software. It’s been used to build API endpoints, forums, blogs, business sites, brochure pages and multimedia sites. It can handle languages, advanced security permissions, and customizing of the manager for client logins. The appraisal words for its security are now the talk of the town and thus the organizations of various niches have adopted it due to the optimal blend of simplicity, capability, and flexibility. There are hundreds of thousands, possibly millions of sites using MODX. The codebase of Revolution is showing its age, and doesn’t utilize some modern PSR standards such as autoloading and namespaces, nor does it use Composer for packaging. The third rewrite of the platform, dubbed MODX 3, will move the core into modernity. MODX3 really pushes the platform forward, focusing on UX and DX for end users and developers alike. With age comes wisdom, and the entire MODX platform is quite capable, mature, secure, and extensible. Let’s wait to see what MODX has next for us! EcomExpertise.com is a multi-functional agency that provides unique e-commerce and interactive solutions. EcomExpertise Inc., 2019 © All Right Reserved.